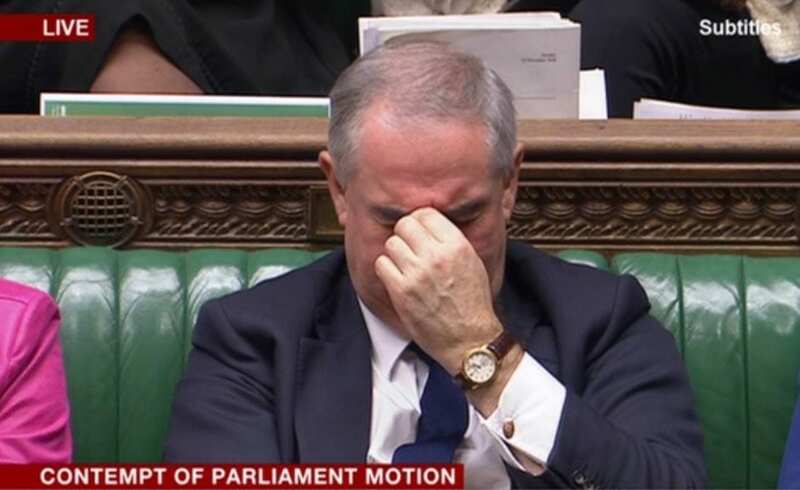 When MPs voted to find ministers in contempt of parliament for not complying with a vote to show MPs the full Brexit legal advice yesterday the faces on the Conservative Party front benches said it all. 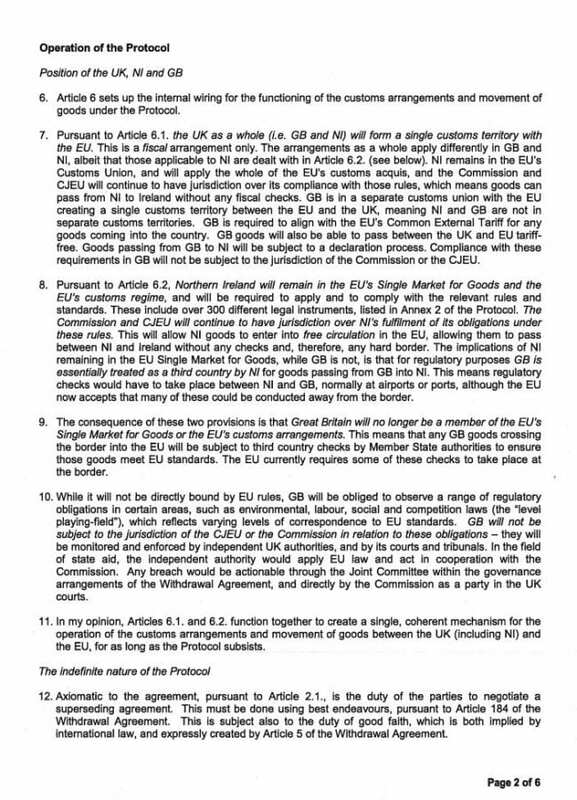 Today the government released their full advice – see below – and it makes grim reading, with Theresa May facing awkward questions over the next five days when she should be shoring up enough support for her Brexit deal to pass through a parliament. Theresa May no longer appears in charge of her party many of whom voted against her in historic scenes in parliament last night. 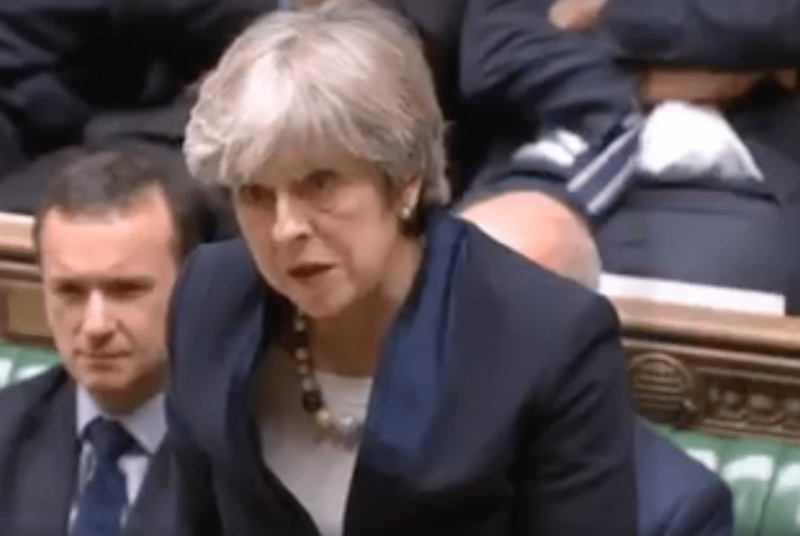 Votes forced her ministers to reveal their legal advice and also, crucially for Britain’s future, give MPs a say on what happens next if they vote against her flawed deal. All this makes is more likely that the government will lose the 11 December vote on her Brexit agreement. 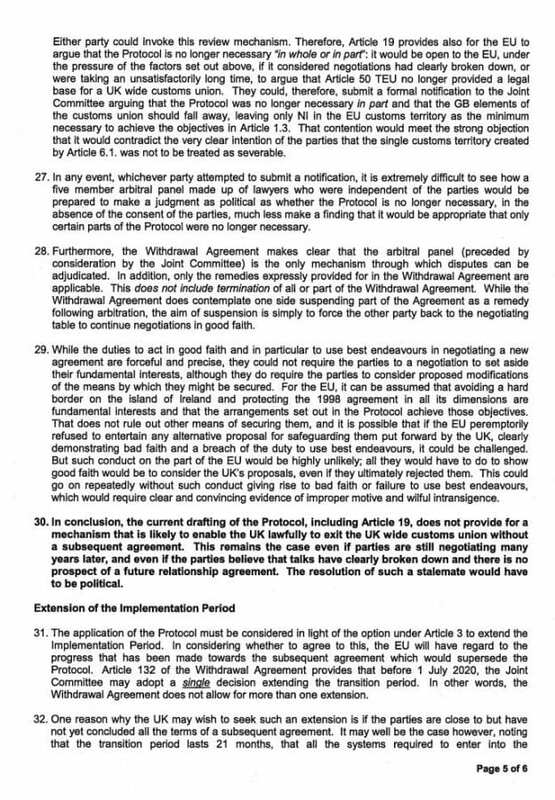 1)If the UK cannot leave the backstop arrangement unilaterally, and it will last indefinitely even if negotiations “break down” would that not leave Britain in an incredibly weakened negotiating position or stuck as an EU rule taker but not maker? 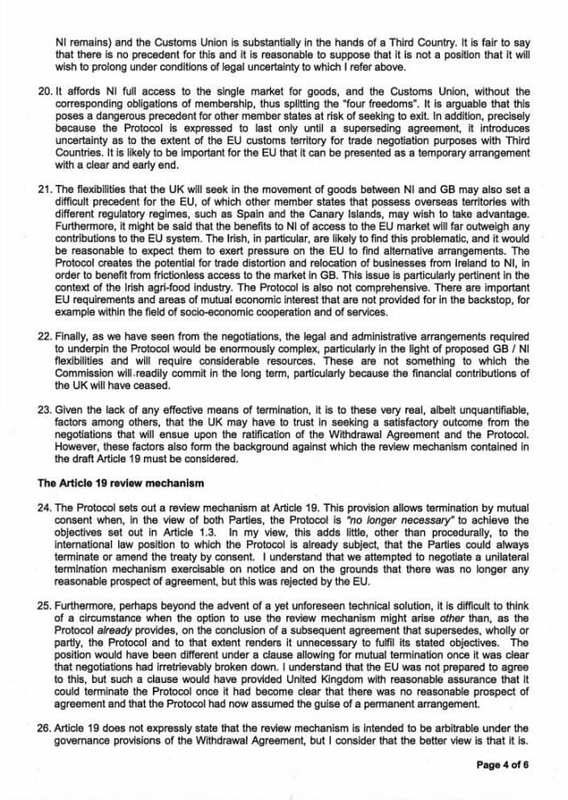 3) Geoffrey Cox’s summary is far from optimistic – how were the government hoping to sell Britain entering an arrangement that could create endless uncertainty for industry and investment as “the United Kingdom might become subject to protracted and repeating rounds of negotiations”? 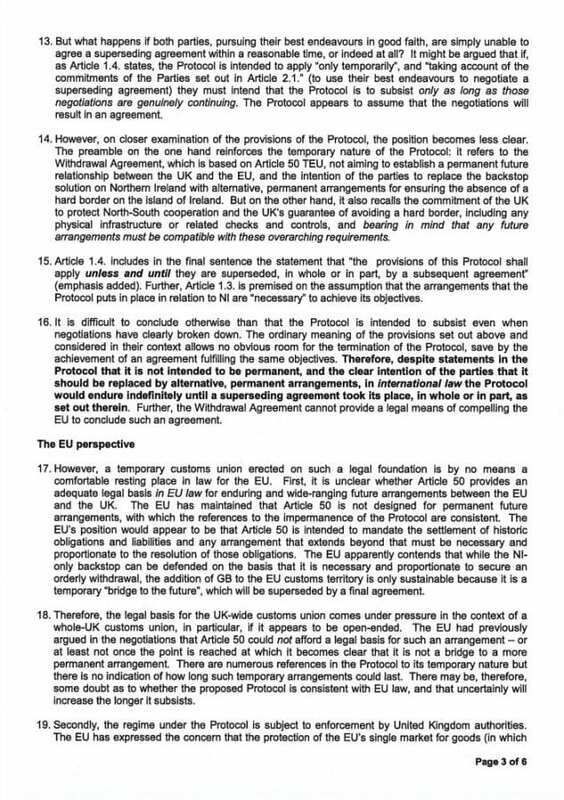 4) The DUP and anybody worried about the break up of the United Kingdom won’t like this legal concern: could Northen Ireland end up separated from the rest of the UK if negotiations broke down? 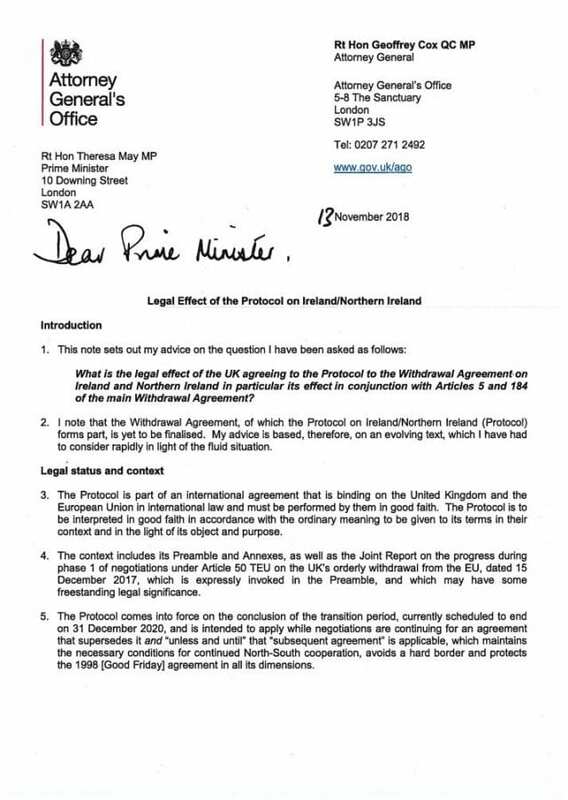 5) And why is the letter dated November 13 – the date MPs first asked to see some legal advice on Theresa May’s Brexit deal? Had ministers not seen any before then? “Having reviewed the Attorney General’s legal advice, it’s obvious why this needed to be placed in the public domain. 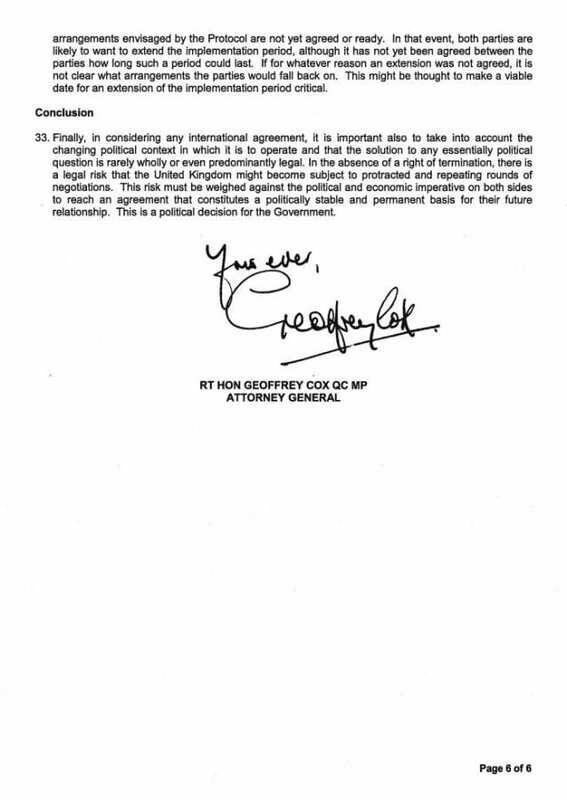 “All week we have heard from Government ministers that releasing this information. could harm the national interest. Nothing of the sort. All this advice reveals is the central weaknesses in the Government’s deal.